My second giveaway to celebrate National Vegetarian Week is this gorgeous hamper from KC Hampers. 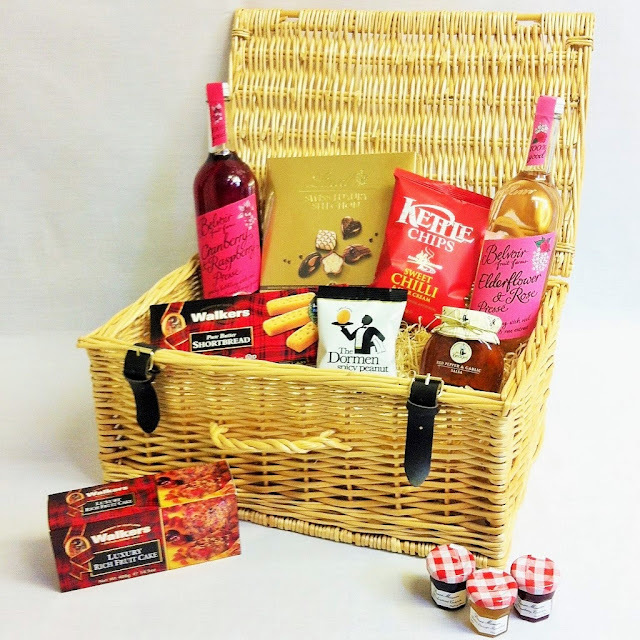 KC Hampers are a Yorkshire based company who have hampers for all occasions and budgets. 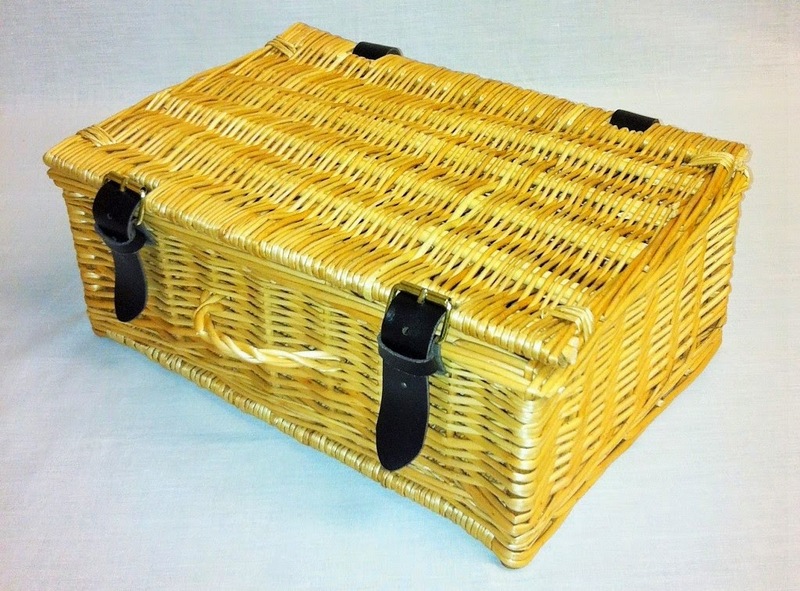 The contents in this one were excellent and the wicker basket was of a really high quality. Great for storage once you've eaten all your goodies. I particularly like the presse and the fruit cake. I really do love everything by Belvoir. Such a treat! Would you like to win an Ashbury Hamper? To enter leave me a comment letting me know what you would tuck into first, then enter using the rafflecopter box below. This giveaway will run until 14 June 2015 and is open to my UK readers. The shortbread would be first, to go alongside a cup of tea. I would put a large spoonful of the Bonne Maman Strawberry Conserve onto a homemade scone along with a dollop of Cornish cream! Thank you! I fancy those cordials mixed with a sparkling white, a picnic rug and some of the other snacks.... an evening date night is calling! It would be a toss up between Elderflower & Rose Presse and Bonne Maman Strawberry Conserve - if it was a very warm day it would be the presse, if it was cooler it would be the Conserve on a piece of perfectly toasted toast. Another amazing giveaway! I loooove Kettle Chips! My other half loves the Belvoire drinks, so we'd probably have to open that first. Walkers Shortbread Fingers. Always a favourite whatever time of year it is. I have been after trying the Belvoir drinks for a while so they would have to be first! i have been craving crisps all day so the kettle chips for sure! The fruit cake. It's my favourite! I'd devour the Lindt Swiss Luxury Selection! The Lindt chocolates would disappear very quickly! The Lindt Swiss Luxury Selection! Shortbread - I love it! The Mrs Bridges Red Pepper & Garlic Salsa. Definitely the fruit cake, I love cake! Hmm, I would start with the shortbread. I love shortbread with grapes, is such an interesting combination. I'd go straight for the Belvoir Cranberry & Raspberry Presse, possibly with a splash of white wine and soda water for a summer cocktail! The elderflower and rose presse! Those spicy peanuts are calling my name. The Belvoir drinks, love these! Shortbread will definitely disappear first. The sweet chilli kettle chips! The shortbread. My fave for dunkin in a mug of tea! The Lindt Swiss Chocolates. Yummy! The cake would go down a treat at work! I would have to live into the Lindt Swiss Luxury Selection first! I'd start with the shortbread fingers! Start off with tHe Kettle Chips. The Kettle Chips, Sweet Chilli & Sour Cream yummy! The Walkers Luxury Rich Fruit Cake! I'd tuck into the yummy Walkers Shortbread first! Perfect with a cup of tea! I would try the Bonne Maman Strawberry Conserve first. walkers shortbread , because im an old biddy!! Kettle chips, I love kettle chips. the box of chocs for definite!! Lindt Swiss chocolates, I've had these before and they are yummy. The Bonne Maman Strawberry Conserve, lovely on top of my rice pudding. Lindt chocolates wouldnt last a minute ! Mmm those kettle chips - and they're my favourite flavour! The Belvoir Elderflower and Rose Presse would be nice to sip outside on hot summer days. The Bonne Maman Blackcurrant Conserve on toasted brioche! I'd tuck into the Walkers Luxury Rich Fruit Cake first! What a gorgeous hamper! SO many delicious items, I think I'd have to tuck into the fruit cake first. My favourite! The Walkers fruit cake, for sure! I haven't tried Amy's kitchen so would love a taster !